Capital Region Living Magazine in 2016 voted Best Calamari in Capital District, Best Seafood Restaurant, Best Fish & Chips and Best Outdoor Dining! In 2015 voted Best Lobster Mac n Cheese in the Capital District by customers! 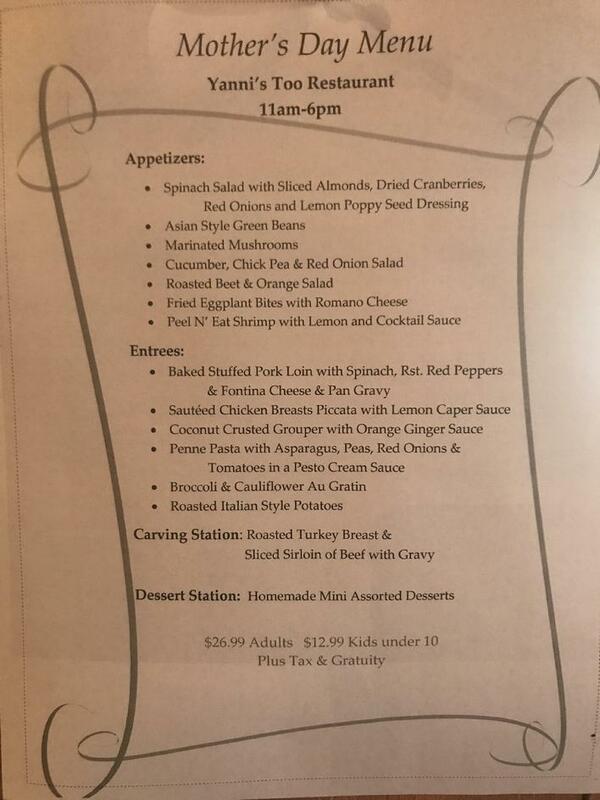 Have you tried Yanni's BBQ? Voted People's Choice BEST BBQ RIBS at Troy Pig Out 2016! 1st Place Chicken, Pulled Pork & Brisket! Hudson Valley Ribfest Grand Champion! Chef of the Year Award! It's never to early to plan your event. Wedding, birthday, anniversary, whatever! events. Call now, slots fill up fast! 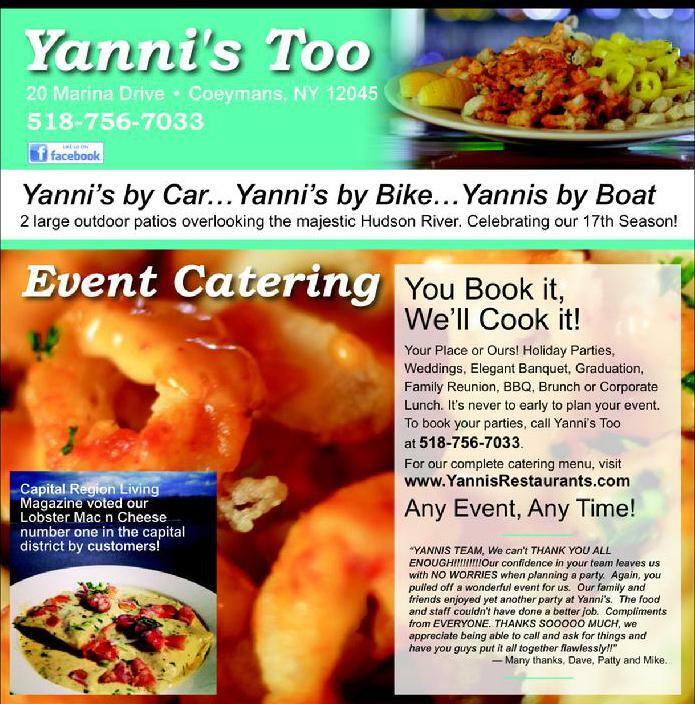 call Yanni's Too at 518-756-7033.